OMG! 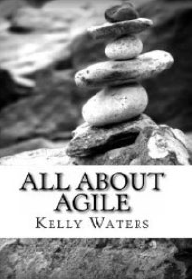 where has All About Agile gone! hi everyone, I’m delighted to win the UK’s agile award for Most Popular Online Contributor, especially as it’s a public vote so thank you! This site has been running now for almost 10 years, which I can hardly believe, Thank you for all your support. Kelly. Oikosofy have written this list of the top 100 agile blogs or web sites: http://blog.oikosofy.com/100-top-agile-blogs-from-2015/ I think this is a really useful resource for people hence why i’m posting it here. I was very pleased to be on the list and proud to be found at number 11 🙂 Enjoy! Kelly.